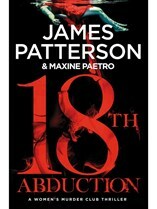 James Patterson’s latest addition to the Women’s Murder Club series has everything you need in a thriller novel. What starts with the disappearance of three female schoolteachers in San Francisco turns into a bigger, more complex case when Detective Lindsay Boxer’s investigations collide with the mysterious case her husband Joe is working on—of a notorious Eastern European war criminal who appears on the streets of San Francisco. Things take a different turn when Joe’s informant is reported missing. What follows is an international crime operation that Lindsay and Joe get caught up in. If you like the crime and thriller genre, give this one a read. It has all the right ingredients: a great plot, good characters, and twists that will make you want to keep turning the pages. Partisan narrates the true story of a New Zealand soldier who escaped the clutches of a prisoner-of-war camp to join the Yugoslav freedom fighters during the Second World War. After his daring escape, John Denvir reached the Slovenian capital of Ljubljana where he joined a partisan band as a machine-gunner. He was believed to be dead by the New Zealand military authorities until January 1943 when his presence among the partisans became known. During his time there, he led brave attacks on German and Italian soldiers from behind enemy lines and was wounded four times.For his service, he received the Soviet Medal for Valour and was also eventually appointed brigade commander. 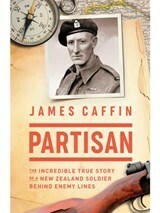 With ANZAC Day just around the corner, this new edition of Partisan—originally published in 1945—offers a timely read. It’s been five years since the tragic and mysterious disappearance of Malaysia Flight MH370 and questions still loom in the air: was it an elaborate murder-suicide or a terrible accident as a result of an on-board fire? Why, on the night of 8 March 2014, did the flight suddenly U-turn, zig-zag up the Straits of Malacca, and then vanish with 239 people on-board? 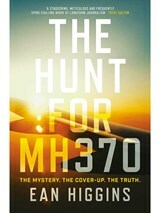 In The Hunt for MH370, Ean Higgins, a journalist for The Australian, attempts to provide a few answers. The book draws on five years of interviews with aviation experts, families of victims, air-crash investigators, and air and ocean hunters to take readers inside the world’s greatest aviation mystery.It’s an engrossing book that pieces together the puzzle of the doomed flight. Looking for a good book to read? Check out these reviews of the latest books to hit the shelves.